SoxProspects.com's Director of Scouting Ian Cundall was in attendance for the Red Sox High A and Low A games this past Thursday and wrote about what he saw. Cundall has notes on right-handed pitchers Bryan Mata, Shaun Anderson, Stephen Nogosek, and Jared Oliver, as well as a pair of breakout hitters in 2016 for the Lowell Spinners, SoxProspects.com's fifth ranked prospect Bobby Dalbec and Tyler Hill. Anderson, Nogosek, Oliver, and Dalbec were each selected in the 2016 draft out of college. Hill was a 2014 ninth-round pick, and Mata is a 17-year-old international free agent signing who is ranked 16th in the system here at SoxProspects.com. 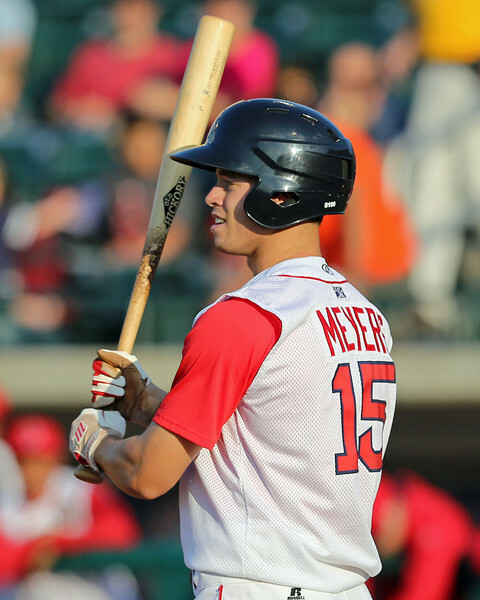 SoxProspects.com's number one prospect, Andrew Benintendi, is quietly confident heading into 2016. CSN New England's Evan Drellich wrote more on Benintendi and how he likes to stay quiet and humble, as well as putting talk about the team before talk about himself. Drellich also wrote about SoxProspects.com's sixth-ranked prospect, Marco Hernandez, and his pursuit of a roster spot this spring. Hernandez changed his diet and added muscle this past offseason, and it has paid off so far in spring training. He's been an extra-base hit machine this spring, with six doubles and five triples to go along with a .422 batting average. Jen McCaffrey of MassLive.com wrote a terrific story on how the Red Sox acquired right-handed pitcher Hector Velazquez and what Red Sox fans should expect from the 28-year-old in 2016. She mentions that the Red Sox placed a heavier emphasis on scouting and statistical analysis of the Mexican League last year. The numbers for Velazquez in 2016 jump off the page, and Red Sox scouts loved what they saw of him in the Caribbean Series. Jonathan Mayo of MLBPipeline.com wrote about his visit to Red Sox camp in the Pipeline Report. He places emphasis on SoxProspects.com's second-ranked prospect, Rafael Devers, and Dalbec. Mayo also identifies Jamie Callahan, Ben Taylor, and Darwinzon Hernandez as breakout candidates for 2017. Mayo also sat down and talked to SoxProspects.com's number three prospect, Jason Groome. Groome told Mayo about his Red Sox fandom, as well as his experience so far in Red Sox camp and how he is going about learning from guys like Chris Sale. Blake Swihart, who will likely begin the 2017 season with the Pawtucket Red Sox, has tweaked his stance behind the dish in an effort to refine his defensive skills, as Jason Mastrodonato of The Boston Herald writes. The Red Sox are hoping Swihart can catch 100 or more games this year, according to bullpen coach Dana LeVangie. The following minor league players (not on the 40-man or a non-roster invitee to major league camp) saw action in major league games this past Monday through Wednesday: Jose Rosario, Cole Sturgeon, Mike Olt, Kyri Washington, Ryan Court, Heiker Maneses, Danny Mars, Jantzen Witte, Joseph Monge, Mike Miller, Nick Longhi, and Tzu-Wei Lin.